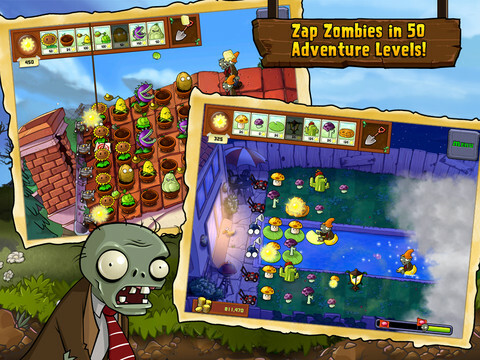 Plants vs Zombies HD going cheap today. "A mob of fun-loving zombies is about to invade your home. Defend it with an arsenal of 49 zombie-zapping plants that will slow down, confuse and mulchify all 26 types of zombies before they reach your door." "Plants vs Zombies HD may be feeling a little lonely on the bargain round-up list today, but this is the perfect opportunity to grab one of the App Store's most famous titles at a much more sensible price."